We would like to welcome you to Prodigy Martial Arts and introduce our team which have over 50+ years of combined experience in the Martial Arts. Head Instructor of Prodigy Martial Arts, currently holds the registered rank of Sandan (3rd Degree Black Belt) in Okinawan Goju Ryu Karate and Kobudo with the Ken Shi Kai and Dai Nippon Butoku Kai Associations. He also holds a 2nd Degree Black Belt in ITF Tae Kwon Do and has graduated from Mohawk College in Hamilton, Ontario with an Advanced Diploma in Business Administration. Started his Martial Arts journey at the age of seven in Tae Kwon Do and after several years of training he started assisting and teaching classes. David has received his 1st Degree Black Belt in Tae Kwon Do at 16 yrs old and continued to develop his skills and teach students of all ages. After High School he enrolled in the Fitness & Health Promotion Program at Humber College where he received his Diploma and Personal Training Certification. A short time after, David joined Prodigy Martial Arts and he began his Goju Ryu training. Through David's dedication and hard work he received his Shodan in Okinawan Goju Ryu and Kobudo in 2016. David brings a fun and friendly atmosphere to the Dojo. He also loves to challenge the kids and adults to push them past their limits. Currently holds the rank of Shodan (1st Degree Black Belt) in Shorin Ryu Karate, Shodan in Muso Jikiden Eishin Ryu Iaido (Art of Drawing the Sword) and a Brown Belt in Japanese Goju Ryu Karate. Mike began his training at age thirteen and has been fortunate to study Wado Ryu, Shotokan, Jiu Jitsu, Tai Chi and Escrima during his Martial Arts journey. He has competed on both local and national levels in Kata, Team Kata, Weapons and Kumite. Mike has held positions in Security Management, Social Services and Special Education. He has developed programs, seminars and lectured in both these areas. He believes you must be a life long learner and enjoys research into Japanese and Martial Arts culture. He is currently focused on perfecting the Okinawan Goju Ryu style under Sensei Shields. Started his Karate training in 1998 and has been a Black Belt in Okinawan Goju Karate since 2002. In addition, he also holds a Black Belt in Kyusho Jitsu (Pressure-Point Fighting) through Dillman Karate International and was a Level 1 Certified Coach in Karate through the Coaching Association of Canada. Rod is trilingual in English, French and Spanish, he holds a BFA from York University and is an MBA-candidate from Ryerson University. 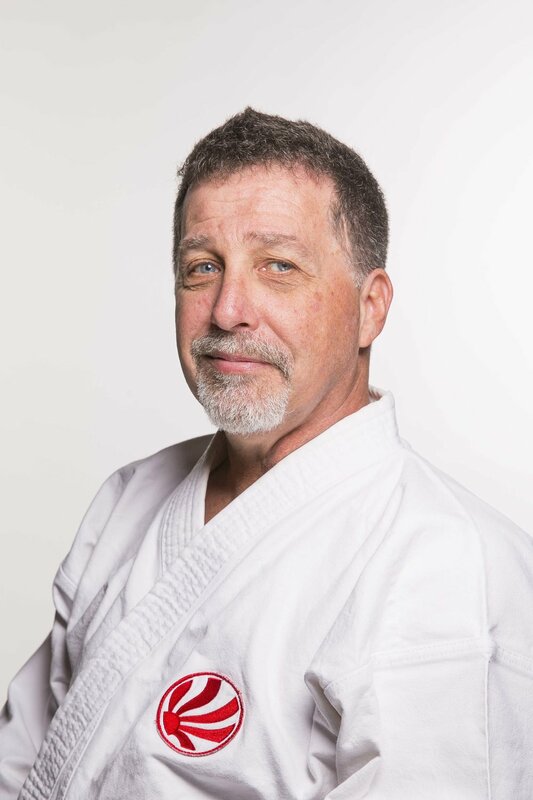 Rod’s areas of focus and study include Kata, Bunkai (Self Defense Application), and Kyusho. He is an Official Study Group Leader with the Kyusho International Organization and hosts a monthly Kyusho class at our Dojo.